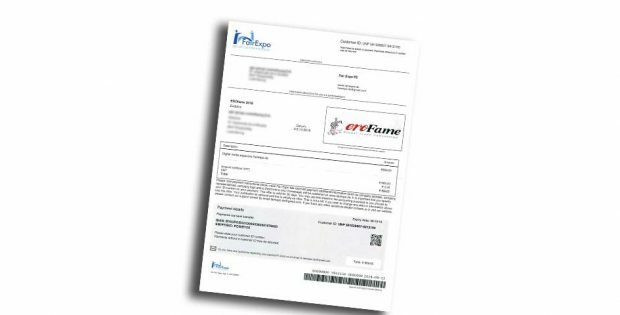 Exhibitors of eroFame 2018 have reported to have received fake invoices in the name of the trade show. These invoices come from a company that calls itself “FairExpo global business exposure” and claim to be for “Digital media exposure Fairexpo.de”. 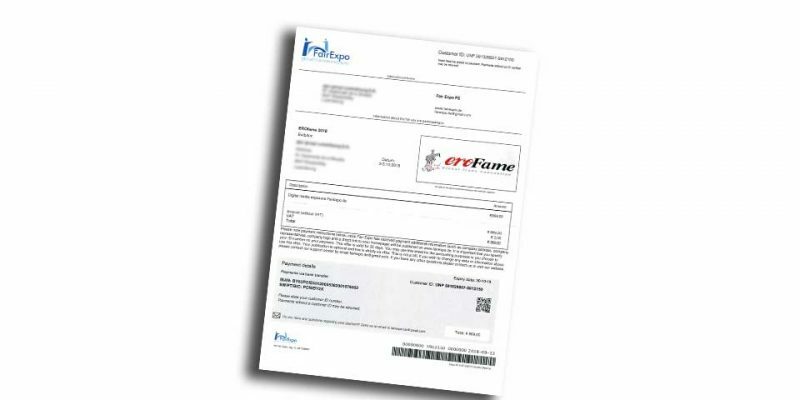 The Mediatainment Publishing eroFame GmbH strongly advise all of the eroFame participants to pay close attention to the sender of invoices that claim to be related to eroFame. The Mediatainment Publishing eroFame GmbH have no business relationship whatsoever with a company called “FairExpo”.